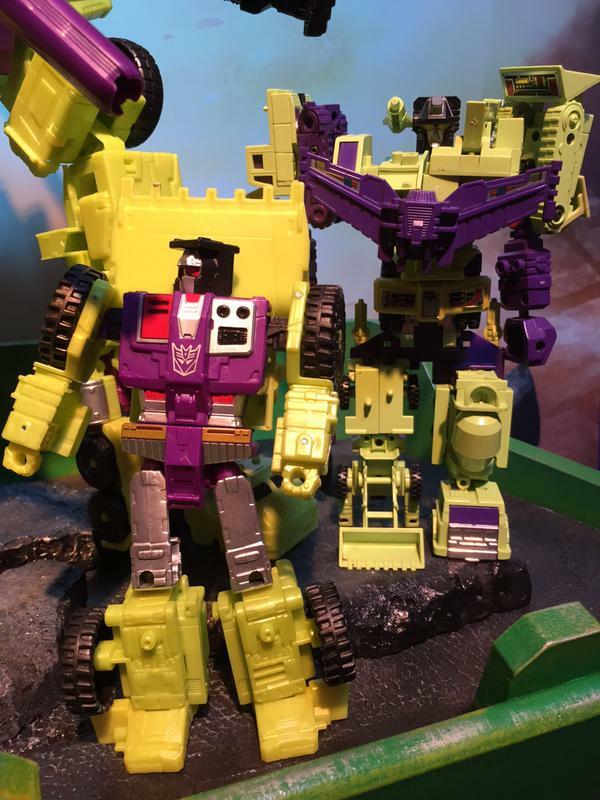 The biggest news out of Toy Fair for many was the official unveiling of Combiner Wars Devastator from Hasbro’s Transformers brand. 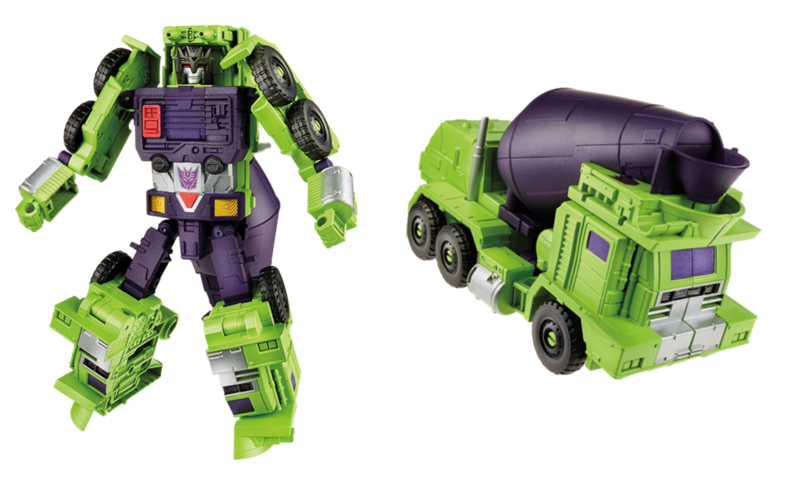 6 Voyager sized Constructicons will combine to form one giant sized Devastator. 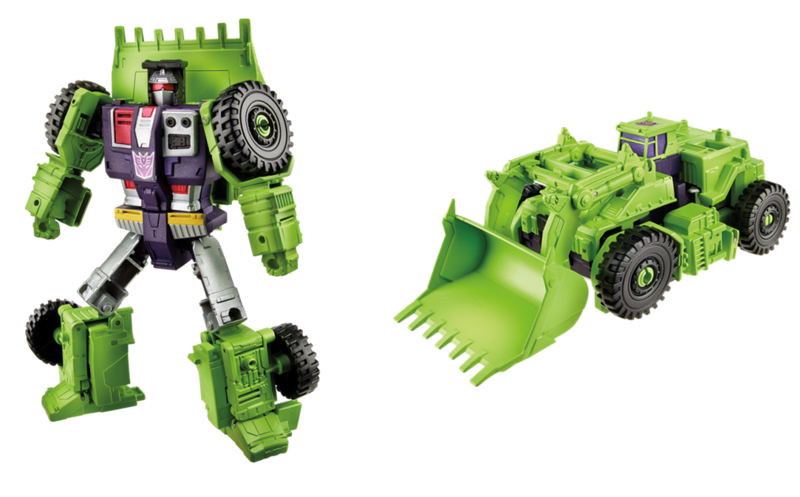 Each of the six figures rivals the original combined Devastator’s 9 inches of height, while the new combined form stands around 18 inches tall. 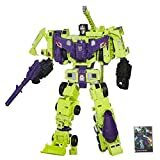 TRANSFORMERS GENERATIONS COMBINER WARS figures form some of the largest TRANSFORMERS robots ever seen, and this one tops them all. 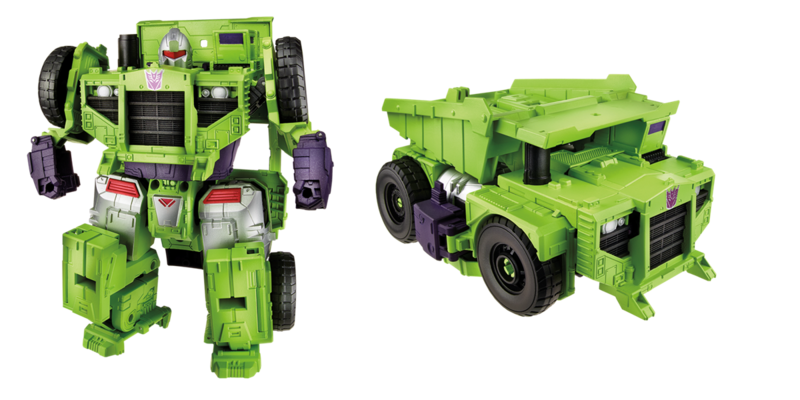 This mega-pack unites all six of the CONSTRUCTICONS in one place. 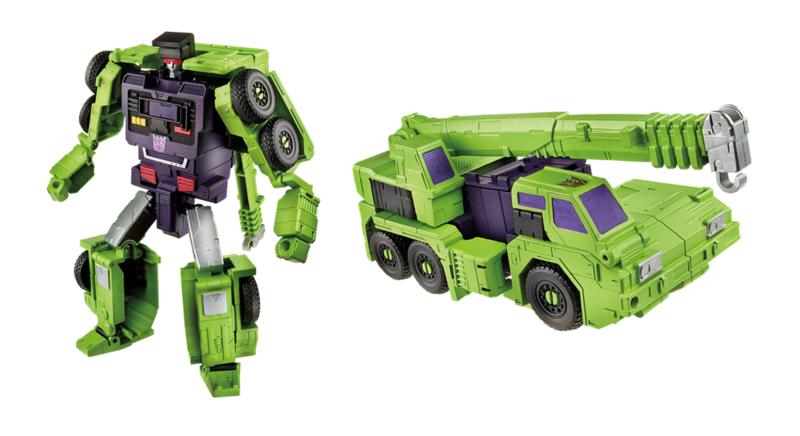 Each figure is rendered in incredible detail and features impressive conversion from robot to construction vehicle and back. 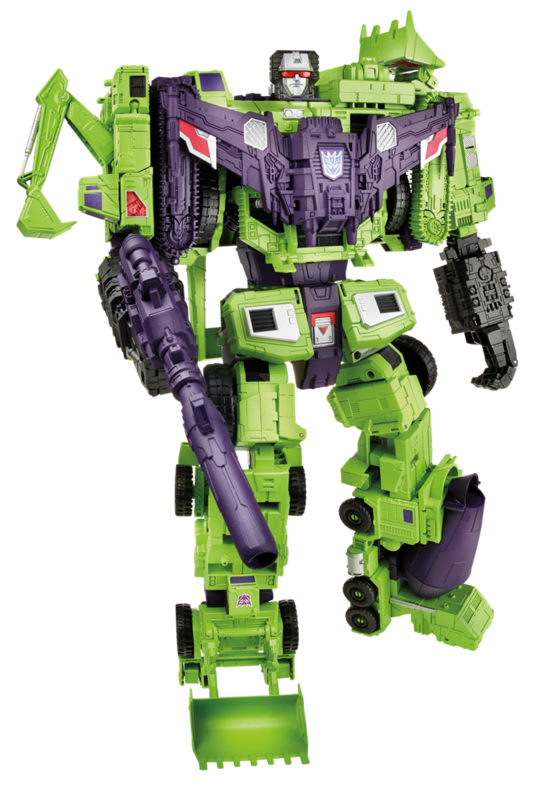 But that’s just the beginning � the six Voyager Scale figures combine to form the ultimate DECEPTICON weapon: the mighty CONSTRUCTICON DEVASTATOR, the largest TRANSFORMERS COMBINER robot figure!